In a year or two’s time, we may be inundated in Lockheed Martin F-35 Lightning II model kits; for now though, they are hardly two a penny, so a new 1:72 scale Hasegawa kit is more than welcome. 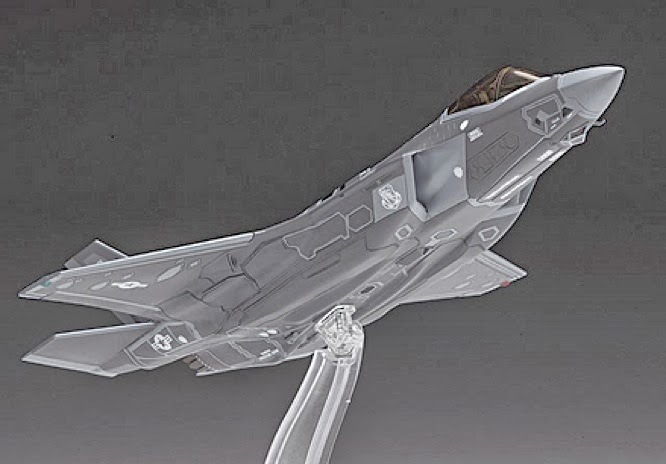 SMN report: Hasegawa’s online retailers are taking orders for likely delivery by the end of the month, so we’d advise putting in that order if you’re as keen on modelling the F-35 as we are. Details on the kit are limited, though it doesn’t sound too difficult an assembly job, as the component count is just 68 parts. Decals come for a USAF machine flown by the ‘Green Bats’ TES (Test and Evaluation Squadron) based at the huge Nellis Air Force Base, Nevada. The model comes with a transparent plastic display stand. It’ll be interesting to compare this model with the excellent Kitty Hawk Models F-35A to 1:48 scale. Of course, since that model was released the in-development F-35 has undergone a raft of minor changes, so hopefully the new Hasegawa will reflect these. The F-35 is a so-called ‘5G’ or fifth-generation fighter design, incorporating stealth features into the airframe. Perhaps the biggest difference this makes is that the somewhat tubby design has room for carrying weapons internally, sawtooth bay doors shown below. Hanging missiles off the wings makes any aircraft distinctly unstealthy, as there are then plenty of spiky features for enemy radars to home in on. 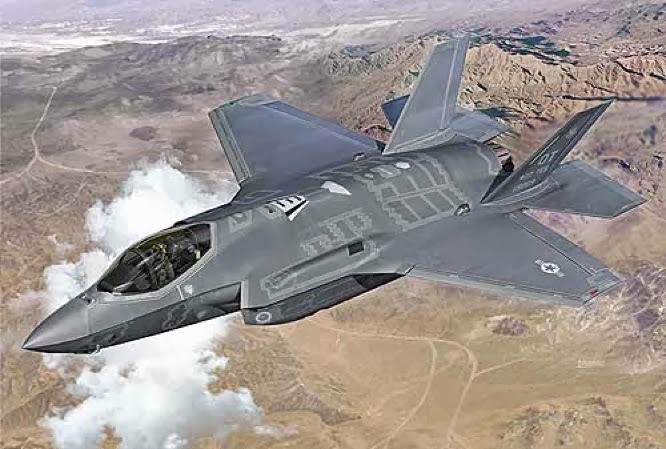 Cost has been, and remains, a massive problem with F-35 development, as is the remaining flight-software that still need writing and testing - according to some reports, millions of lines of code have still to be finalised for combat readiness. 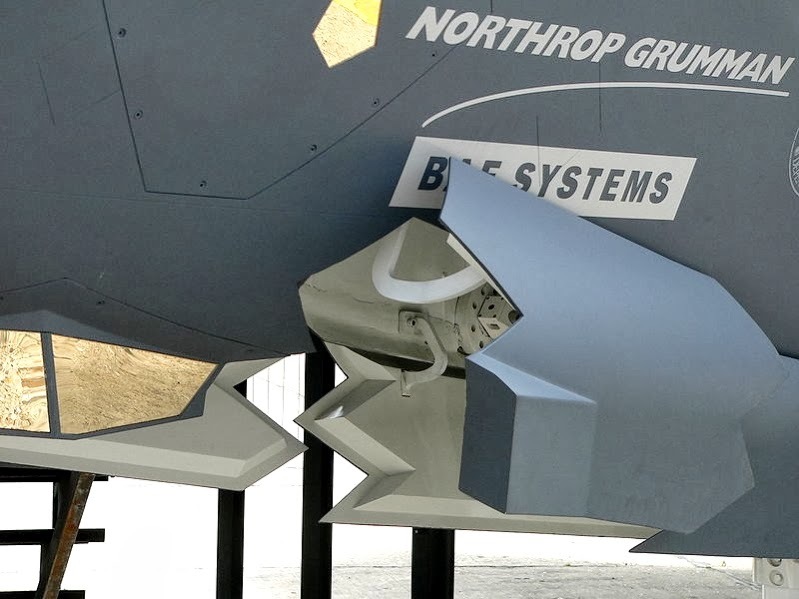 It remains to be seen whether the F-35 will radically outperform existing fighters, like the Saab Gripen, Eurofighter Typhoon, or Boeing F/A-18 Hornet. We’re looking forward to the results of simulated air combat during Red Flag aerial combat exercises in years to come. Also available from Hobby Link Japan here.